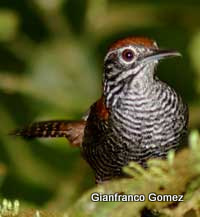 This entry was posted in Birds and tagged Avian Conservation, Costa Rica, Friends of the Osa, Osa Biodiversity, Osa Biodiversity Center, Riverside Wren. Bookmark the permalink. Very interesting, great photo, wish I were there! 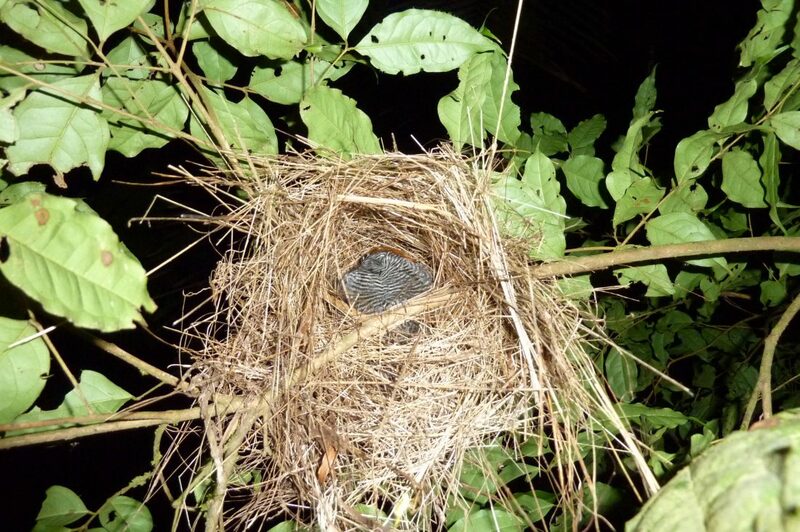 It seems to me to be clear that in the nest in the picture above, there is one sleeping immature bird. One can see it’s side with black and white, it’s eye and beak which points to the left. The rufous feathers of it’s head is visible, making its position clear. If you compare the mature bird at the bottom right corner, and imagine it in the same position as the one in the nest, then that is exactly what you will see: black and white underside/side, with just the red of the head feathers showing.